Feels like good old times to read in Chris blog about features I implemented. Chris – please venture more outside of Microsoft walled BI garden, there are many interesting things there! What would really make it like old times would be if you rewrote the query so it executed in 0.00000001 seconds! Cool! I posted a link to this post in http://www.reddit.com/r/bigquery/comments/1iggfa/counting_triangles_in_a_social_graph_the_vertica/. 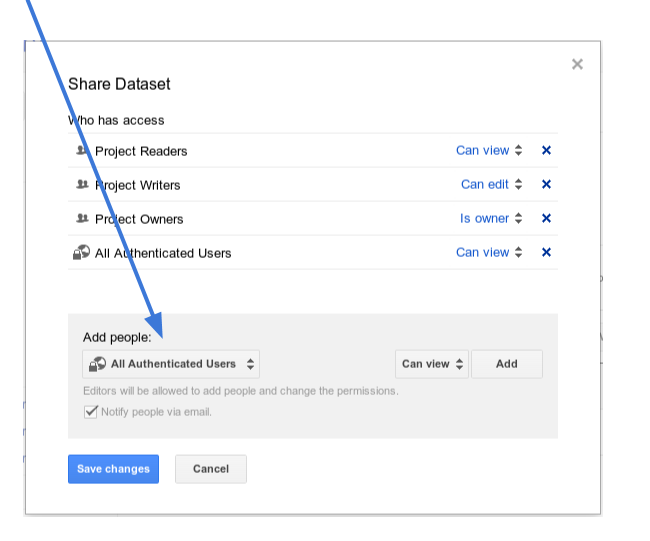 Can you make the dataset public? 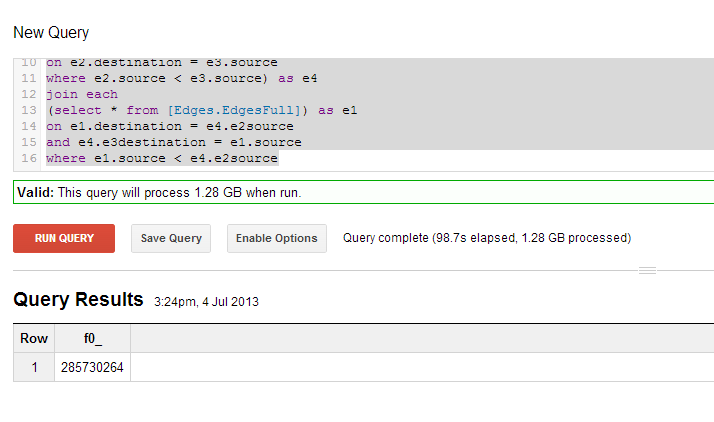 Then everyone can play with this query :). Then anyone can run the queries you wrote, without the need to download and re-upload the full dataset :). OK, I’ve done that now. Is there some kind of link to the dataset that I should share? Cool! Now I just need to know your project id, to know in which namespace I can find this table. Thanks for doing this? –> Thanks for doing this! No problem! If you can rewrite the query to make it faster, I would be very interested.